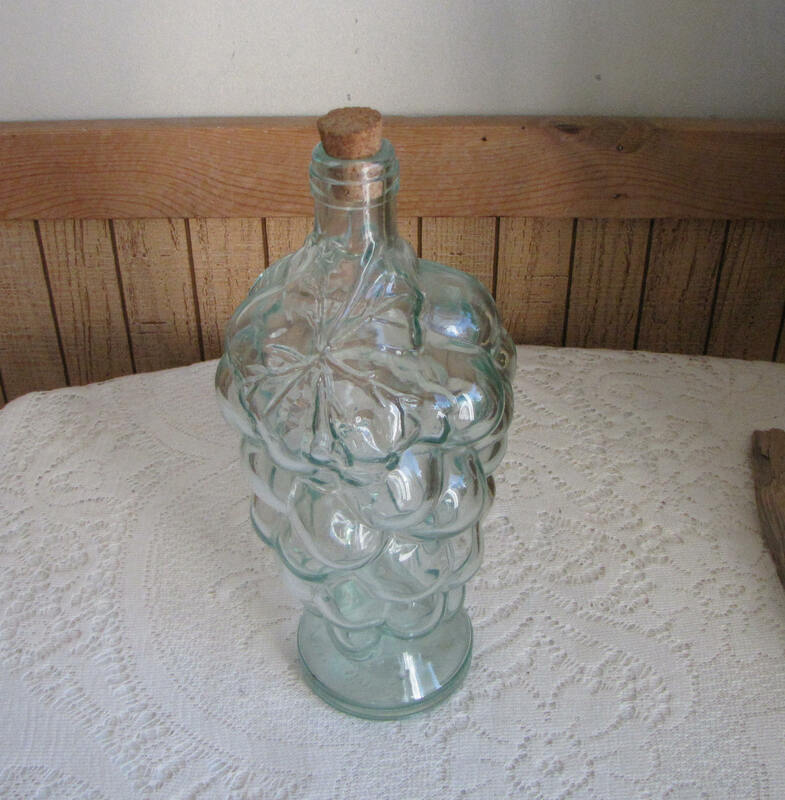 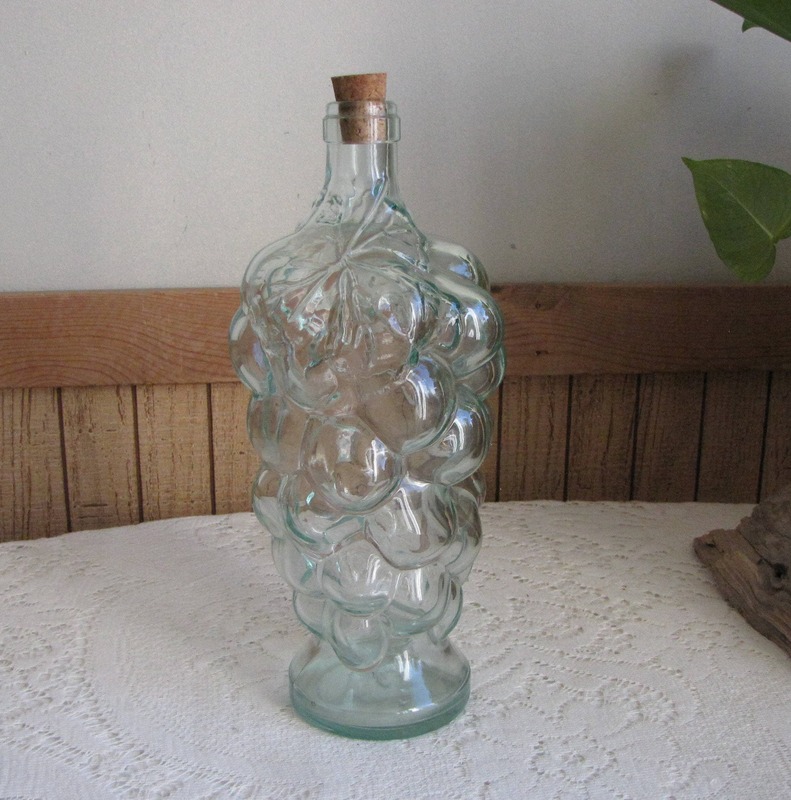 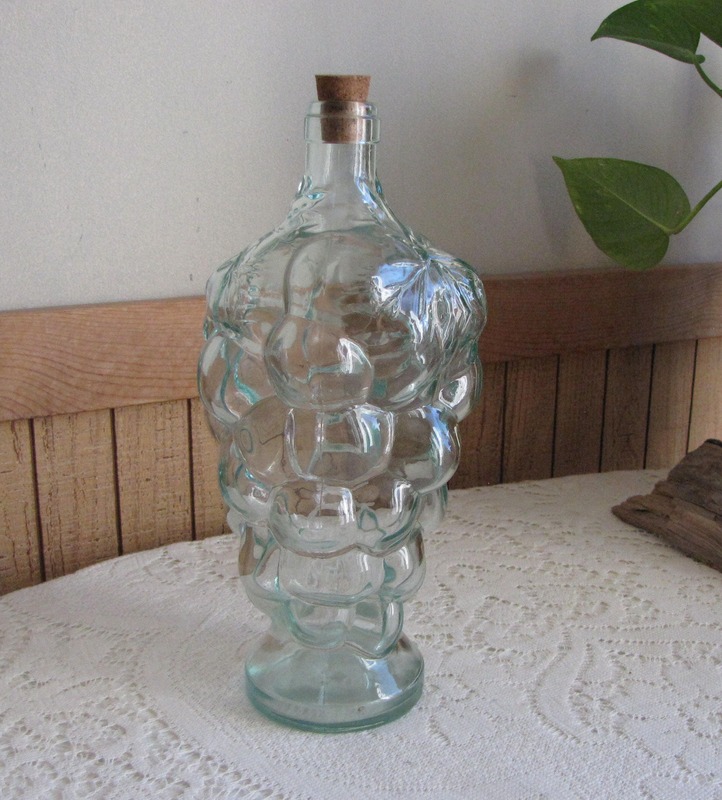 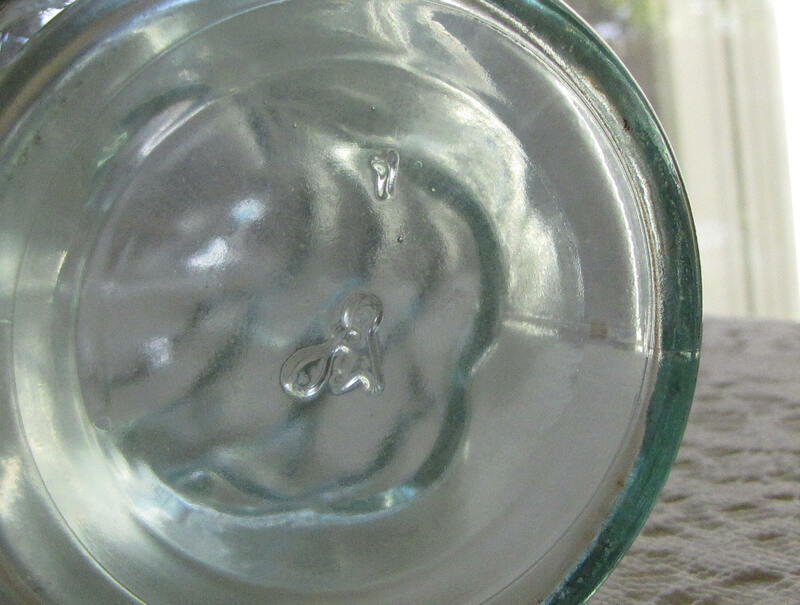 A lovely old bottle in a light green glass with a grape bunch design. 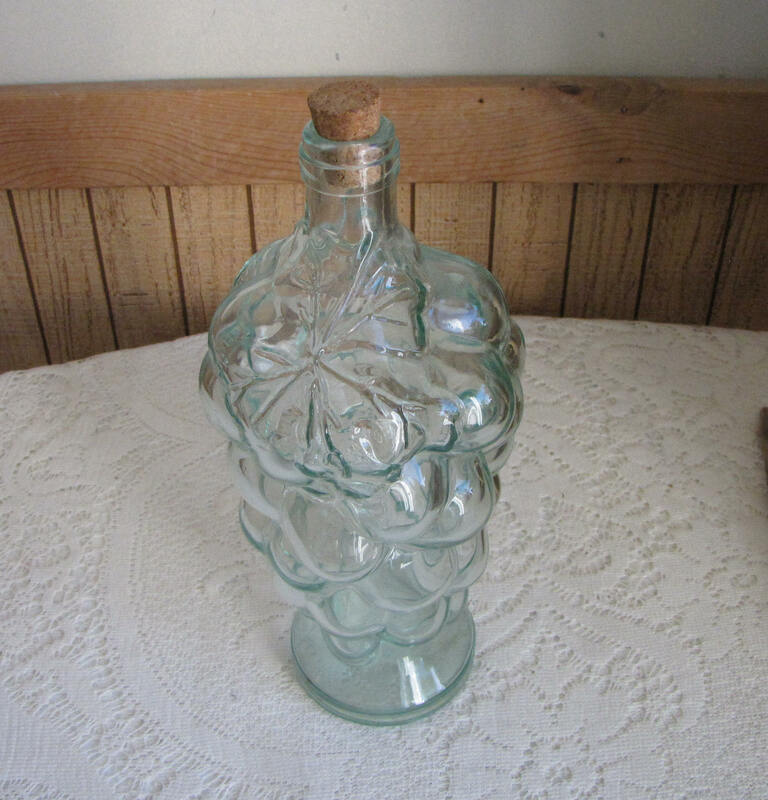 The bottle is in very good vintage condition with no chips or cracks; some signs of wear and its cork. 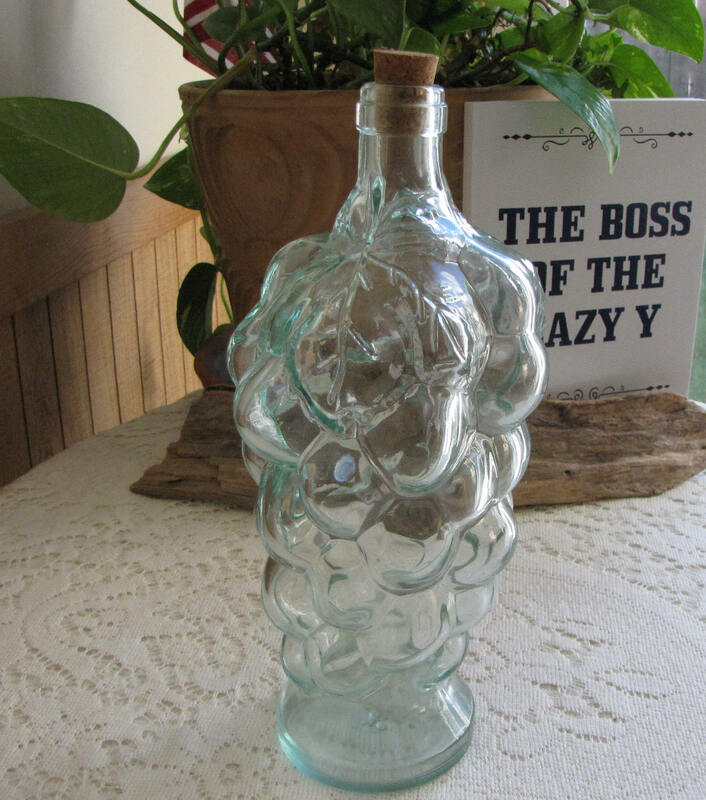 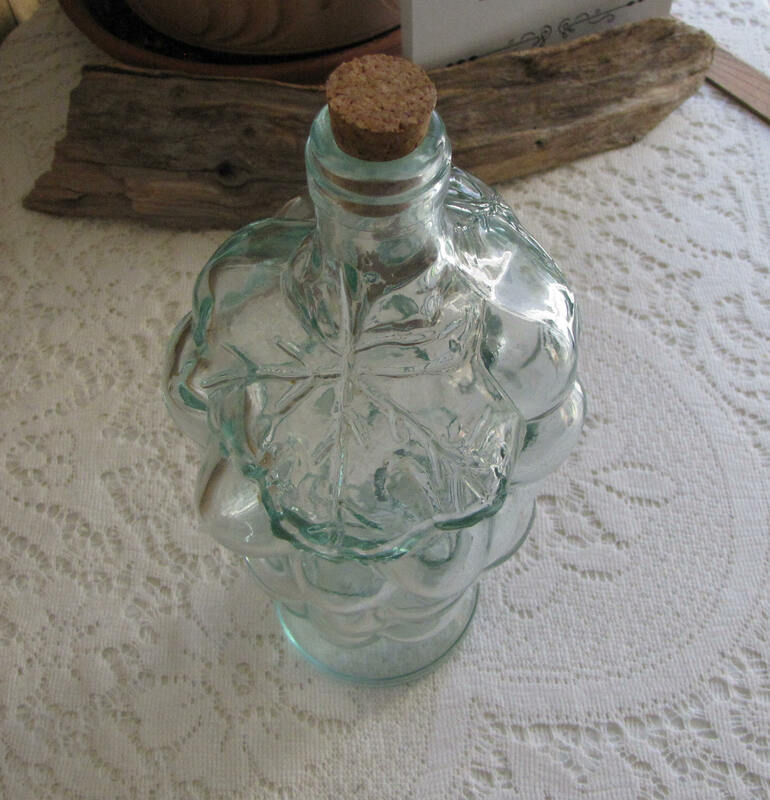 The bottle measures 10 inches tall and 4.5 inches across its widest point. 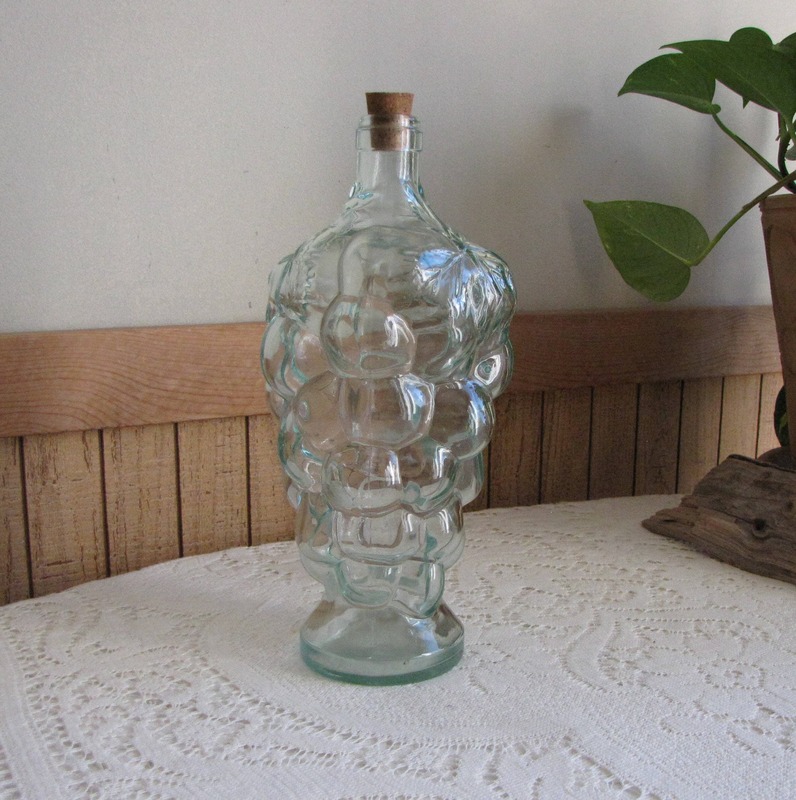 So versatile, a flower vase, a wine decanter, or an olive oil bottle. 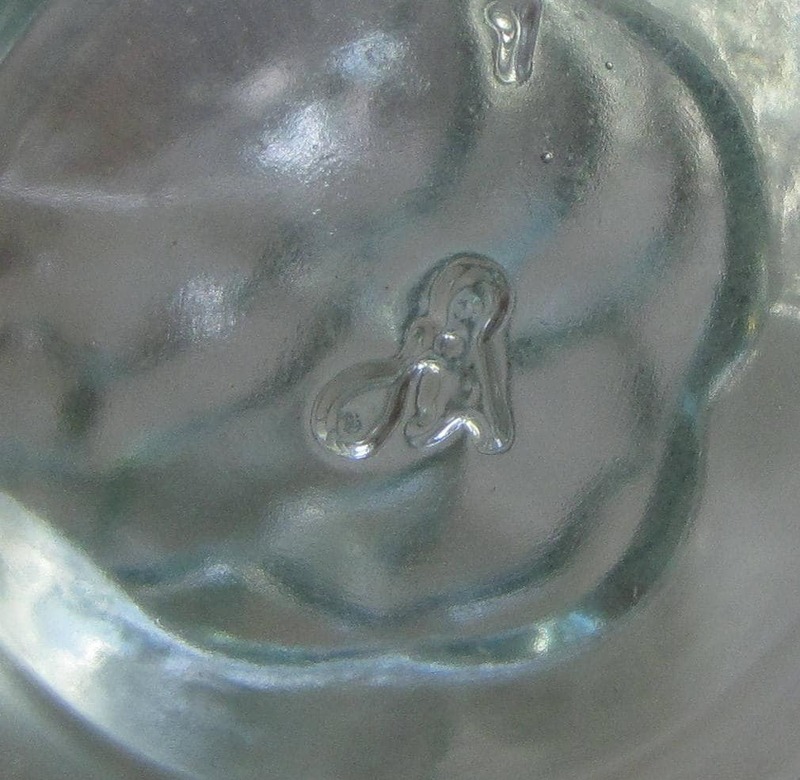 The logo on the bottom is interesting, looks like a little guy pushing a ball or balloon? 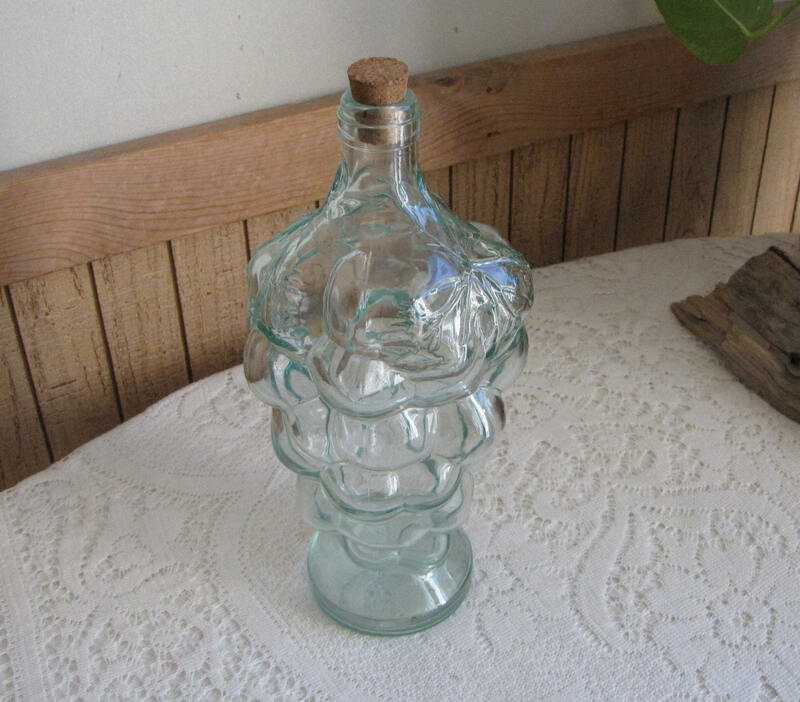 Could not find any information on it.